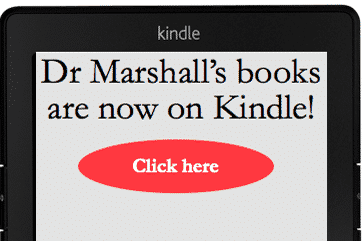 Dr Marshall sits down with an old friend and high church Anglican priest Christopher Cantrell to discuss his experience walking the Camino de Santiago 4 times (Camino Frances and Camino Primativo). They discuss the tradition and history of the Camino and give advice on how and why to do it. You can also watch this podcast interview on Youtube by clicking here. I continue on the Camino of Santiago. Today I tell the story of a pilgrim, a knight, and his rejected love that lead him to 30 days of violent jousting and the breaking of the 300 lances! We passed through the medieval town of Hospital de Órbigo which was once run and controlled by the Knights Hospitallers to aide Christian pilgrims along the Camino to Santiago, Spain. Previously in AD 456, invading armies loyal to King Theuderic I (son of King Clovis of the Franks) here fought King Rechiar (Suevic king of Gallaecia – first Germanic Catholic king). Saint Nicholas is smoking incense in our kitchen! Check out this incense smoking Saint Nicholas “nutcracker” statue. Mari Webber, New Saint Thomas Institute Member and Sword and Serpent Launch Team member (and Our Lady of Guadalupe NSTI Pilgrim) purchased in Germany this beautiful smoking Saint Nicholas for our family. Our children love it! Thanks Mari for your generosity! Thank you Mari for our smoking German Saint Nick! 1 You should visit the 4 Major Basilicas of Rome: St Peter’s (Vatican), St Paul’s outside the Walls, St Mary Major, and St John Lateran. These are the four grandest churches in Rome and each will take your breath away. My favorites are St Peter’s and St Mary Major. 2 The best part of Rome are the off-the-path churches. Saint Peter’s Basilica is amazing, but I find myself enjoying and communing with God in a special way in churches such as St Agnes in Agony off the Piazza Navona or at Sunday Mass in the St Maria Trastevere. Santa Maria in Trastevere – Off the beaten path, but worth a visit! 3 If you’re healthy, walk everywhere. Try not to use cabs or the metro. Walking a city is the best way to know a city. If you can’t walk, go with someone who knows Rome well. 4 Bus tour. Speaking of getting to know Rome, as cheesy as it sounds, I recommend getting on one of those tourist double decker buses and riding around the city at least once. It will provide you with a global “view” of the city. 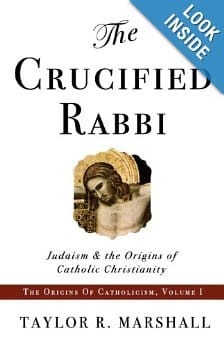 5 Read a good book on Christian Rome before you arrive. 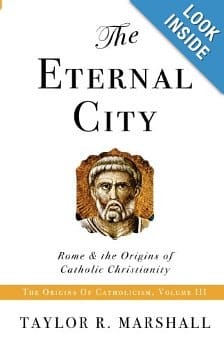 I recommend my book The Eternal City: Rome and the Origins of Catholicism for Catholic pilgrims looking for Catholic insights into the history and theology of Rome. 6 Eat meals at scenic Italian spots. Will food cost more on the piazza of the Pantheon or on Piazza Navona? Of course! But it’s worth it. Watch people. Listen to the musicians. Watch performers. One evening, I was eating alone on the Piazza Navona and two married British couples on an anniversary trip to Rome invited me to their table and even bought me champagne. We had a great time talking about Latin. It was a fun and magical evening that I’ll never forget – and it would have never happened if I had dinner at a cheap kabob shop off the Tiber. 7 Pasta is great, but it’s not the end-all be-all in Rome. Italian food isn’t all pasta. I rarely consume pasta in Rome. I spend my meals loving the cured pork dishes, the veal, the cheese, and the vegetables. If you are into pasta, some of the best pastas are those that are lightly topped with sauces or fine oils. Quality over quantity. 8 Everyone raves about Roman gelato. But after living there for almost a month, I learned that there is gelato…and then there’s real gelato. Just as wine comes in a variety of value, even so gelato. Through priests I met, I was introduced to interesting flavors that I would have never tried. There are an array of nut flavors that I highly recommend. Pistachio, of course, but also try Bacio (chocolate hazlenut – like Nutello!!! ), Mandorla (almond), and Castagna (chessnut). And of course blend with chocolates and dark chocolate and berry flavors. I found that gelato sold at tourist centers and from moveable carts tended to be the worst in the city. 9 Prayer at holy sites. Rome is a holy city of martyrs, relics, saints, tradition, and glory. But you can get so caught up in seeing everything that you don’t talk to God. Don’t just gawk at Michelangelo’s Pieta and take photos for Instagram. No, kneel down in front of it and pray. Don’t rush from church to church. Find the tabernacle and talk to Jesus about your pilgrimage. Sistine Chapel Vatican Museum Rome Italy. Leave that iPhone in your pocket. Be still and pray. 10 Live in the moment and feel Rome. Here are some examples from my own experience: Watch an Italian cat curl up under an ancient statue. Smile at a newly wed couple cuddling near a fountain. Sit in an ancient Roman church and watch a wedding of two people I’ve never met. Randomly meet seminarians on the street and invite them to lunch. Pass the peace in Italian at a local Mass. There’s much more that I could say, but these 10 are the big ones with 1, 2, 9, and 10 as the most important. I returned from our NSTI pilgrimage to Our Lady of Guadalupe. It was a beautiful pilgrimage with beautiful people. More than ever, I’m convinced that Mary leads us deeply to Jesus. There are things about Jesus that we can never know without Mary. She is a microscope that “magnifies” different attributes of Jesus and His eternal message. The miraculous image of Our Lady on the tilma seems to have changed since I saw it last two years ago. This is obviously subjective perception on my part. It seemed larger and more alive and more colorful. Last time at the Basilica, I promised Our Lady to bring my wife Joy with me on the next pilgrimage. It was difficult traveling Mexico with a 4 month old baby, but she did a great job and I’m really proud of her. Our group of 43 pilgrims (most from NSTI) were fantastic. Kate (one of our pilgrims) related how bringing her intentions to Guadalupe was liking carrying the roses of prayer in her own tilma like Saint Juan Diego and having Our Lady “rearrange them” to be more acceptable. The devotion of the Mexican people as they prepared for a Papal visit was inspirational. Their faith and joy are inspiring. When at San Miguel, we saw all the poor people carrying Baby Jesus dolls to the churches to be blessed. They were doing this to commemorate the “Presentation of Jesus in the Temple.” It’s a beautiful devotion that I have never known. Food in Mexico is so good. Churros. Fruit popsicles. Mexican Bernaise sauce! We observed pilgrims walking on foot for 6 days to Mexico City to greet the Pope. 6 days! Would we spend 6 days of penance for the good of the Vicar of Christ and to welcome His Holiness in an act of hospitality? There are 100 of other things (I’ll share more on Guadalupe in a podcast), but it was just a wholesome and beautiful pilgrimage. I hope that you’ll join us again in a year or so when we do it again. If you want to watch a Webinar on Our Lady of Guadalupe, click here. If you want to join me on a Pilgrimage to Rome and Italy, please reserve your spot by clicking here. 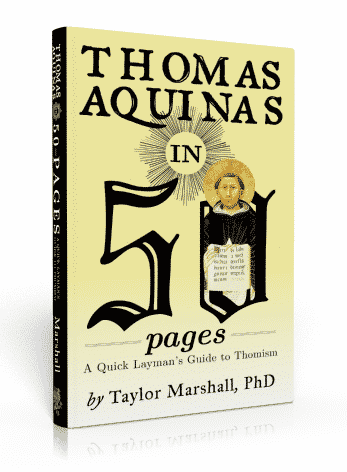 Sign up to receive my FREE Catholic updates via e-mail and receive a FREE copy of my e-book, Thomas Aquinas in 50 Pages: A Quick Layman's Guide to Thomism. You can now receive my blog posts from this site more quickly and easily by becoming an email subscriber by clicking here. 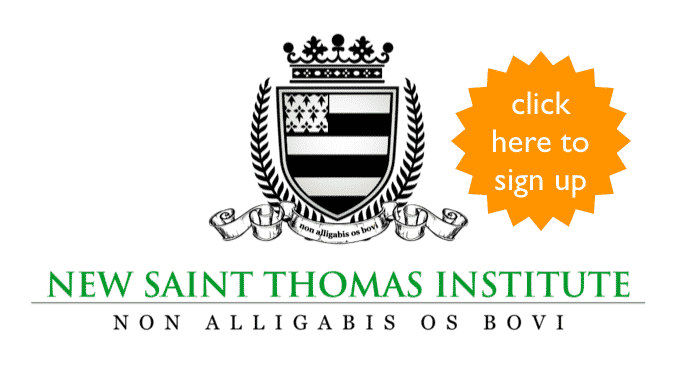 When you sign up, you'll receive a FREE copy of my e-book on Saint Thomas Aquinas. 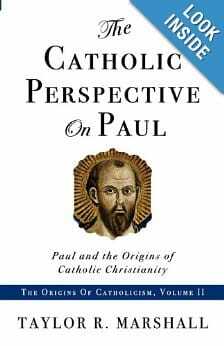 "Dr. Taylor Marshall's The Eternal City takes the reader deep into the Catholic origins of the Apostolic Faith." - Bishop James Conley, D.D., S.T.L. See my daily pics on Instagram by clicking here. Watch my videos on Youtube by clicking here. 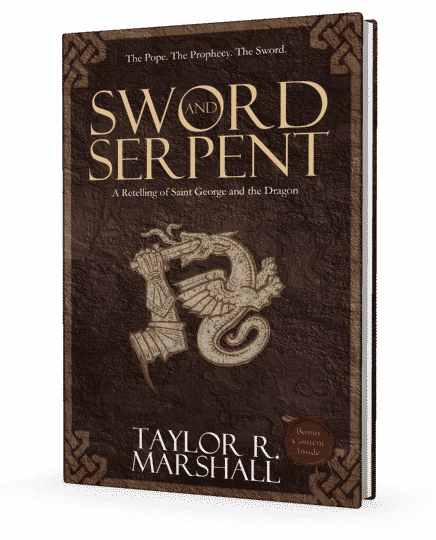 I am the author of the Amazon bestselling novel Sword and Serpent: A Retelling of Saint George and the Dragon, and 7 other published books on topic ranging from Judaism, Catholicism, Thomas, Aquinas, and Roman history. I’m also the President of the New Saint Thomas Institute where we offer online theology classes to over 2,500 students in over 50 nations. My wife Joy and I have eight children and we live near Colleyville, Texas. ©2019 Taylor Marshall. Powered by the Get Noticed! Theme.